Line cookie sheet with waxed paper, foil or cooking parchment paper. Place 2 1/4 cups of the dark chocolate chips in 2-quart microwavable bowl. Microwave uncovered on High 2 to 3 minutes, stirring every 30 seconds, until almost melted. Stir until smooth. Evenly spread on cookie sheet to 1/4-inch thickness. Set aside. In 2-quart microwavable bowl, microwave candy coating uncovered on High 2 to 3 minutes, stirring every 30 seconds, until almost melted. Stir until smooth. 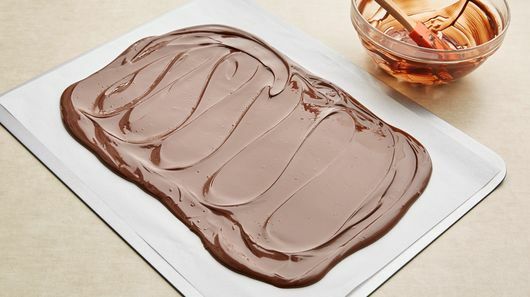 Carefully pour and spread over dark chocolate to 1/4-inch thickness. 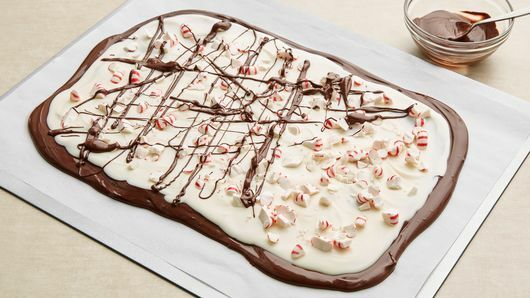 Sprinkle evenly with crushed peppermint candy. In 1-quart microwavable bowl, microwave remaining 1/4 cup dark chocolate chips uncovered on High 50 to 60 seconds or until almost melted. Stir until smooth; drizzle on bark. Let stand at least 2 hours until hardened. Break into pieces. Store tightly covered at room temperature. To crush hard peppermint candies, place in resealable plastic freezer bag; crush with rolling pin or meat mallet. In a hurry? 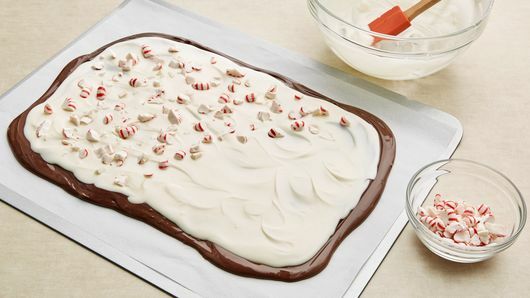 Refrigerate peppermint bark 30 to 45 minutes or until set. 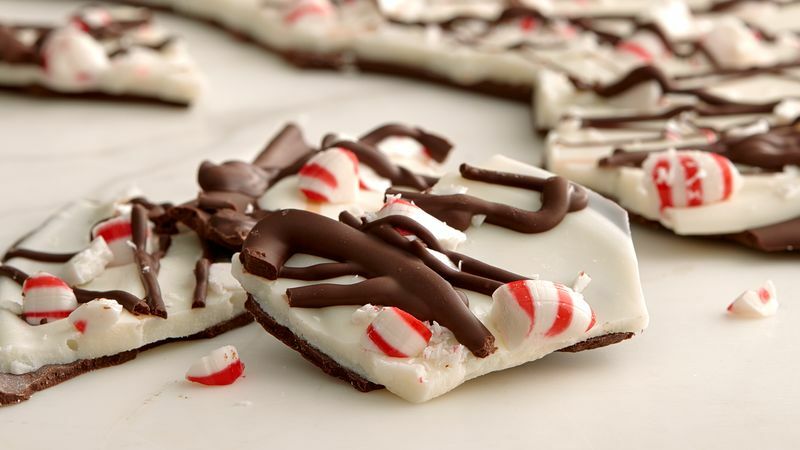 Substitute red, green and white hard peppermint candies or candy canes for the red and white hard peppermint candies.